Convert your Magento traffic into profit and benefit from re-selling ITORIS’s modules with our Partnership program. This program can be of special interest for Magento catalogs’ owners and service providers. 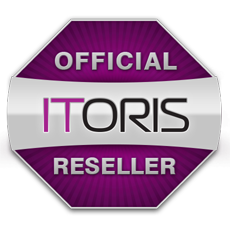 Currently ITORIS is one of the first-string Magento modules’ providers. When you become our Partner - you gain all the benefits of this, as your customers get the full range of high-class Magento products, and leave all technical issues including support on us. We have developed Partner API for easy participation in the program. 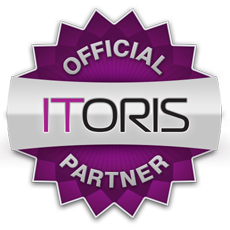 All you need is to download ITORIS Partner API module (this is a regular Magento module) and install it on your Magento website. Then follow several easy steps from the guide and voila - you are a new Partner! You will have Balance at ITORIS. Product purchases will be applied on your side; you will charge your customers directly, while ITORIS will take payments from your balance. You will set the prices for your customers and charge them accordingly, and we will take payments from your balance at the discounted price, based on the discount you currently have. The difference will make up your income. You can achieve even higher discounts depending on the volume of your resale. Your discount will be re-calculated based on your sale during the previous 31 day - please see how much more you can achieve! Unlike with other programs, there are no set up fees and annual charges. For participating in partnership you top up your balance at ITORIS, and use this money to purchase the extensions and services for your customers. Account at IToris - if you have purchased products from us, you have received credentials. If not - please contact us, we will generate credentials for you. Partner Portal is available here. You should read and agree to the Terms and Conditions to start the partnership. Manual - please follow its instructions of how to install Partner API module and how to connect it with the API. It also describes how to manage customers and extensions. Add the modules as regular Magento products on your website and start earning!